War Babies spans the conversation between two women, Kate (Anette Knowles) and Louise (Linnie Reedman), as they meet for a drink at a café. It seems that these two women have briefly met before, although when, where and why is unclear. Both Kate and Louise were born in World War II, and this becomes the premise of the plot, with each of them taking turns to tell their wartime stories and those of their families. It becomes clear that, much to Louise’s annoyance, it is Kate who has instigated this meeting, and it is Kate who forms the direction of the plot, either through her mildly irritating lack of ability to stop talking about herself, or her purposeful probing of Louise. The stage in this small room is set up very simply, with just a table and two chairs, a screen that provides a backdrop with various photographs and a box towards the front of the stage, which contains the props that each woman uses to tell her stories. Both Knowles and Reedman settle into their characters well, and although their storytelling passages are effectively portrayed, their emotions often feel a little forced, and moments that perhaps should be moving don’t have much credible depth. The third performer, Simon Pothecary, takes on all of the male characters with an impressive versatility and a consistently engaging presence. Through the alternating episodes of Kate and Louise’s pasts, the plot of War Babies builds up to the quite obvious revelation of why they have met and how their two stories connect. This plausible, if not a little predictable, revelation would be enough of a conclusion to the play without the bizarre plot twist that then follows. In general, the plot has a strong narrative development, but the dialogue is littered with clichés and overused idioms in a way that detracts slightly from the fundamentally emotive subject matter of the piece. A ‘theatre of war’ metaphor becomes the play’s over-pronounced epilogue, but aside from awkwardly breaking down the fourth wall, this metaphor doesn’t seem to have much relevance to the rest of the play. War Babies is a play full of effective little anecdotes with a charming narrative structure, but with an abundance of clichéd language and an unnecessary second plot twist, it lacks the sharp and blunt emotion that could make this a truly moving story. 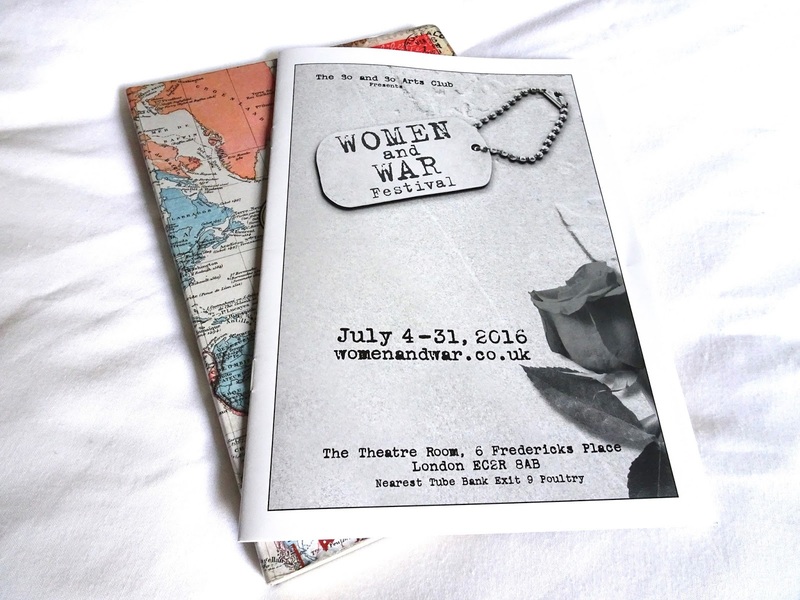 War Babies is being performed again on 23rd, 25th, 29th and 31st July, along with a number of other war-related shows throughout the rest of the month. Huge thanks to Theatre Bloggers for making this review possible. *I was gifted my ticket in exchange for a review but all opinions and words are my own.